How do I add a passenger? 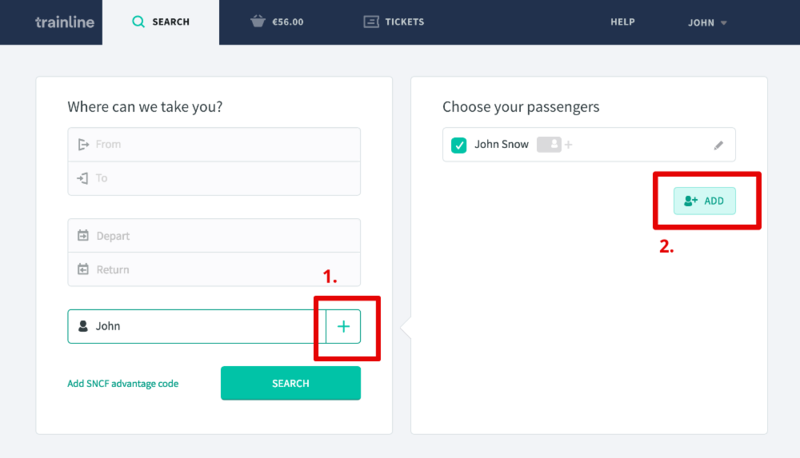 If you would like to include other passengers in your reservation or book tickets on someone else’s behalf, you just need to add them as a passenger. This is super simple and takes only a few moments. Click on the green plus sign. Click on the ‘Add’ button. Here you can then create a new passenger. 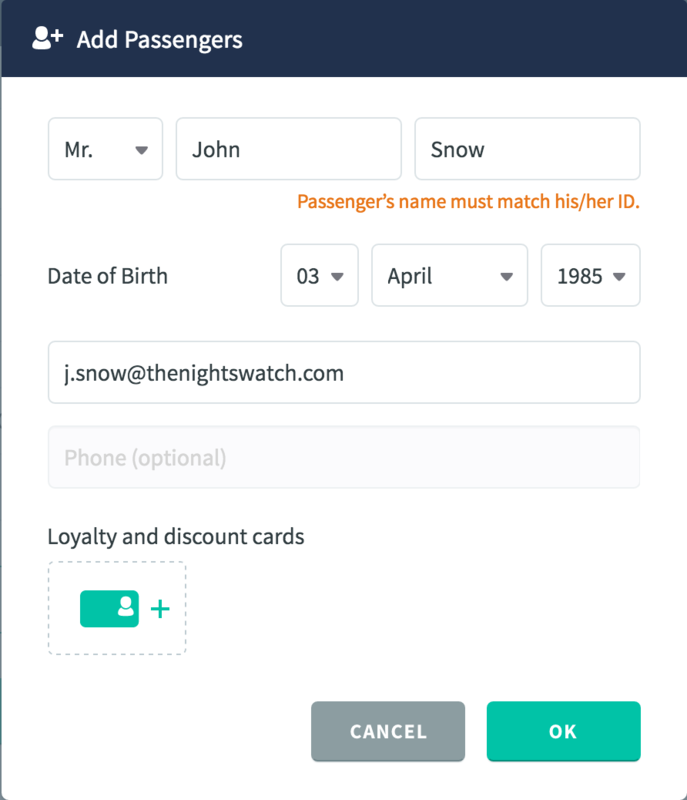 How do I edit a passenger's information or delete it?